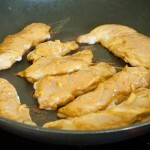 Boneless, skinless chicken breasts are my favorite form of protein (other than peanut butter, of course!) 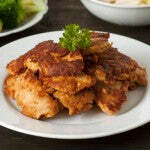 But the problem is that things can often get boring with chicken breast. 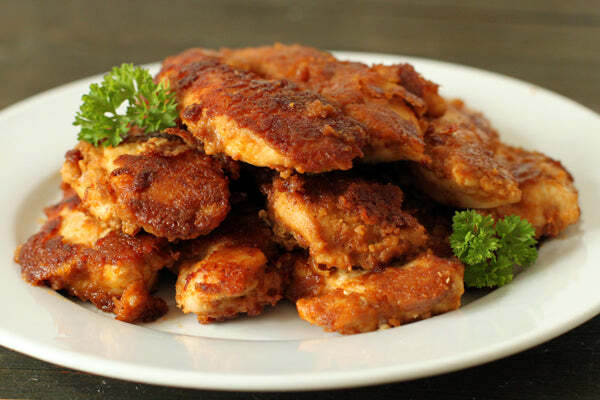 The Heat is On peanut butter instantly jazzes things up in this quick and easy chicken dish. 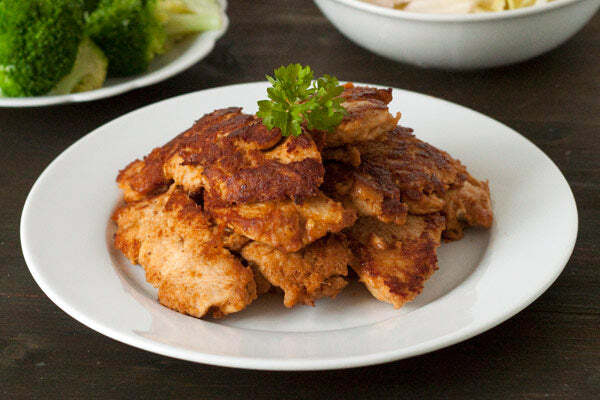 I’ve made this chicken countless times and my favorite way to serve it is with steamed broccoli and rice. 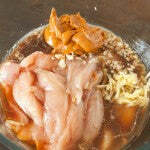 The marinade will be very thick and when cooking, it creates a delicious crispy crust. If you’re serving this to young children, you might want to do half The Heat is On and half Smooth Operator peanut butter to cut the intensity. 1. Combine all the ingredients in a large bowl. 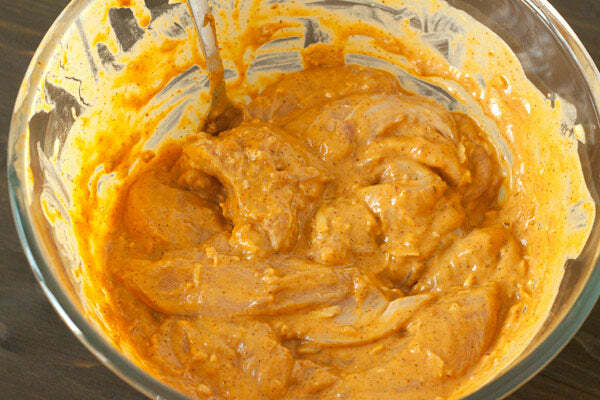 No marinating is required but if you like, you can prepare this the night before cooking. Please note that it might be very spicy if you do this! 2. Heat a large non-stick pan over medium-high heat. If using non-stick, there’s no need to add any oil to the pan. 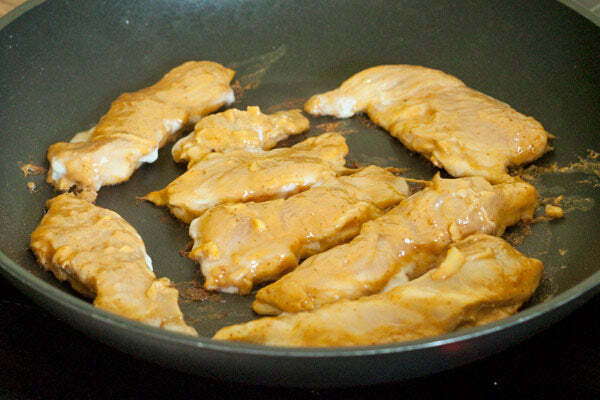 If not using a non-stick pan, add about a tablespoon of canola oil to the pan. 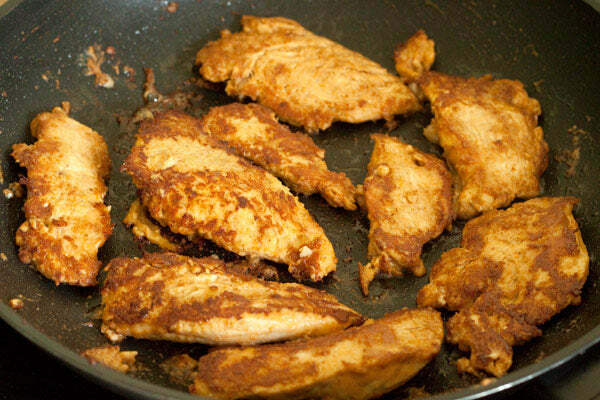 Place the chicken strips in the pan, keeping a little room between each piece. 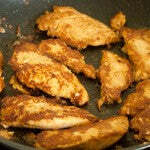 Fry the chicken for about 3–5 minutes and then flip and cook for another 2–4 minutes. 3. Remove the pan from the heat and serve immediately. 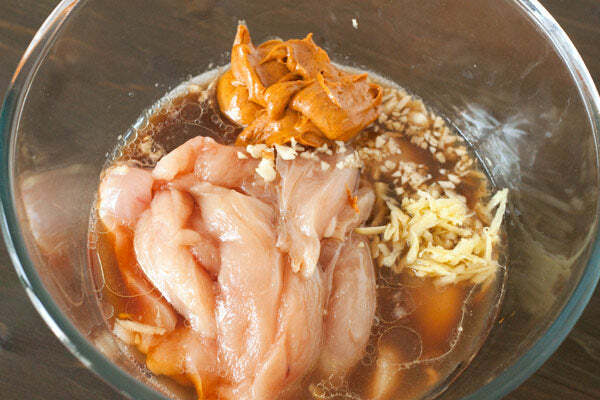 Besides chicken, what other proteins would you use this marinade with? 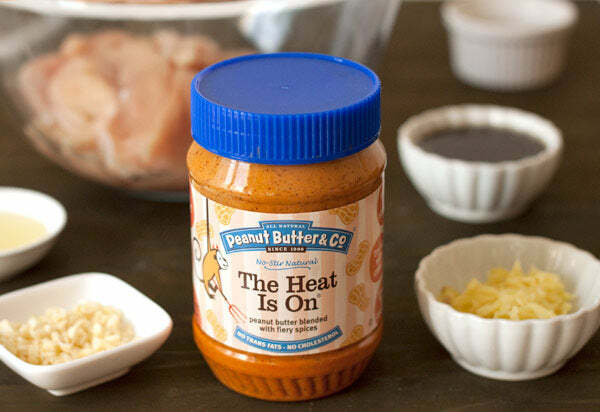 Leave a comment below with your answer to enter for a chance at winning a jar of The Heat Is On, the peanut butter used in this recipe. – The giveaway is open to USA residents only and will run until Monday, June 9, 2014 at 11:59 PM EST. – Winner(s) will have until 06/12/14 to claim their prize or we will choose another winner. 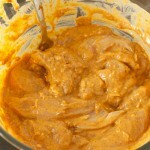 – Winner will win one jar of The Heat Is On peanut butter. Product will be shipped by Peanut Butter & Co. 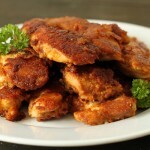 The post Spicy Peanut Butter Chicken appeared first on - Peanut Butter & Co. Recipe Blog.